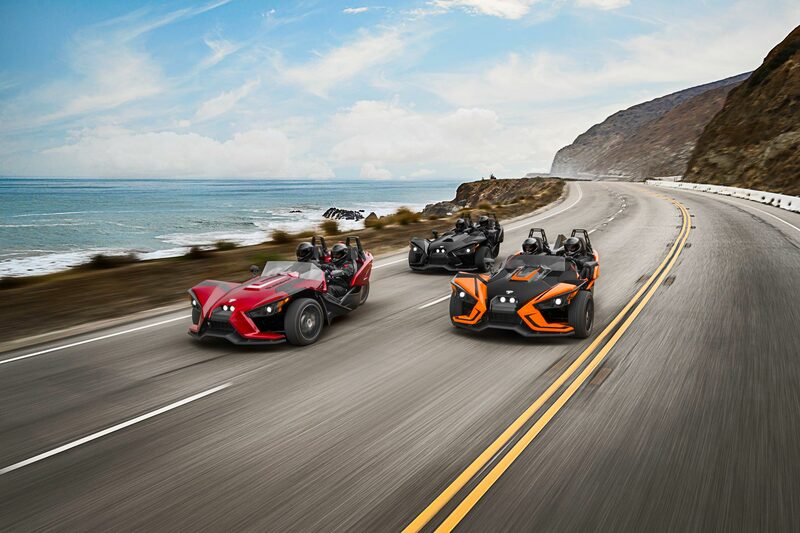 MINNEAPOLIS (May 10, 2018) – Polaris Slingshot, the open air, three-wheeled roadster that delivers “The Ultimate Joyride™,” today announced Club Slingshot, a national owners group that is designed to embrace a strong, growing community and recognize the loyal Slingshot owners across the country. In its inaugural year, more than 25,000 new and used Slingshot owners will receive a complimentary one-year membership, which includes special offers, accessto events and rides, as well as a first-edition Slingshot owners magazine. Club Slingshot is designed to enhance the local owners group experience, and to elevate that even further, Slingshot is asking owners to play a vital role in shaping the future of Club Slingshot. Slingshot invites owners to share their ideas by connecting directly via e-mail at [email protected] Slingshot’s desire to build this from the ground up is intentional, as it looks to build Club Slingshot alongside its passionate community of owners.